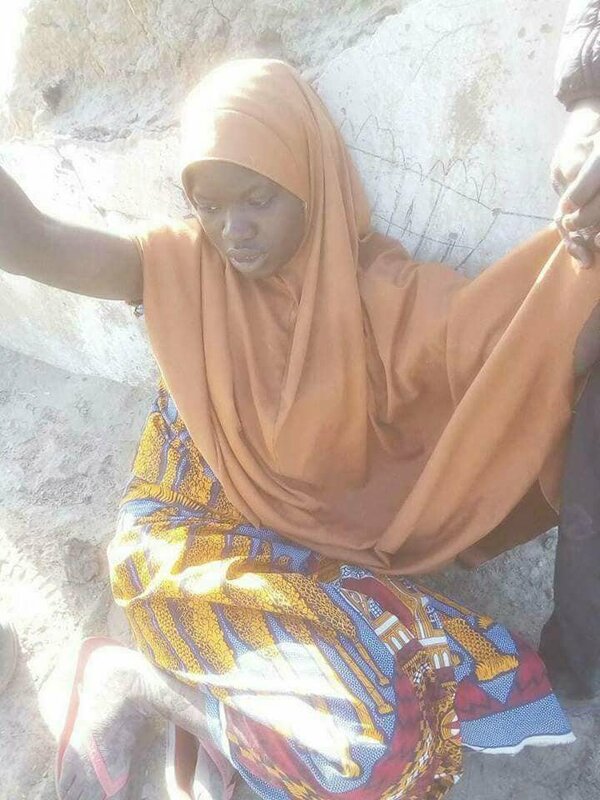 Troops of Operation Lafiya Dole deployed around Gamboru Ngala have successfully averted what would have been a major devastating suicide attack carried out by three female Boko Haram terrorists against innocent citizens in Gamboru town in Gamboru Ngala Local Government Area of Borno State in the early hours of Tuesday January 9th. 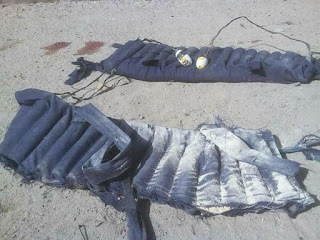 Two of the suicide bombers, strapped with suicide vests had attempted infiltrating Gamboru town at about 6.45 am when they were sighted by a joint patrol team of vigilant troops and Civilian JTF at Unguwar Yobe area shortly before entering the town. 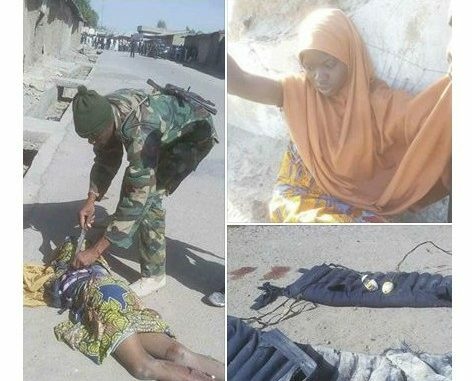 They were halted by the patrol team from a safe distance and were ordered to unstrap their suicide vests, to which they vehemently declined. All efforts and entreaties by the patrol team to make the suicide bombers remove their IED vests failed as the duo adamantly approached the troops armed with their IED vests. 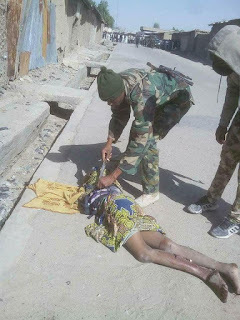 They were immediately neutralised by the troops, while the Explosive Ordnance Disposal Team (EOD) safely unstrapped and detonated the suicide vests.